UltraMax™ is built for extreme comfort with 3-Dimensional Zoning™ core design providing anatomically- calibrated levels of support and immersion throughout the surface. Now, there’s Geo-Mattress® UltraMax™ for Stretchers, a premium pressure redistribution support surface with many UltraMax™ features. Three-tier, zoned design and all-new features makes it our finest Geo-Mattress offering. Along with luxury, the Geo-Mattress® Max provides a variety of safety features too. 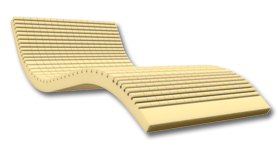 Geo-Mattress® Plus offers a dual-layer, progressive resistance design perfectly blends clinical effectiveness with patient comfort. Soft, high performance top provides maximum immersion and a premium feel against user's skin while bottom layer adds stability. Affordably effective, the Geo-Mattress® Pro provides a single layer, zoned construction delivers excellent value for budget-conscious facilities. Specifically designed for the needs of the at-home patient at risk for skin breakdown. Our Geo-Mattress® HC is cut from a single 5" layer of high-quality foam in a fluid resistant, wipe-clean nylon and vinyl cover. 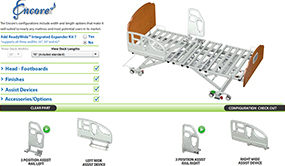 Supporting up to 750 pounds, the Geo-Mattress® Atlas™ is designed to meet the unique skin integrity challenges of the bariatric client. Segmented top surface, 6" height, and fluid-proof cover make the Geo-Mattress® 350 a great choice for heavier home care patients. Or, an economical yet effective option for long term care residents. Gel 80™ gel/foam overlay delivers effective pressure redistribution by encapsulating multiple gel bladders within a high-density sculpted support base. 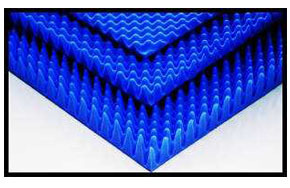 The top surface is cut using our exclusive Geo-Matt® design, which creates more than 800 individually responsive foam cells that are anatomically sized to the area of the body they carry. The Delta is proven in pediatric settings, and is designed to alleviate the head and scapular pressures that often arise because infants' heads are large and babies tend to lie on their backs for long periods of time. Our convoluted comfort overlays are made from high-quality, combustion modified polyurethane foam. This product is considered effective as a comfort measure only.